For many years I’ve promoted the concept that most people should be able to file their own tax return without outside help. In cases where the taxes are based on salaried income, investment income and other well-documented sources, it makes sense to file your own taxes online and the process can be completed in less time than it takes to make arrangements with a tax preparer. In contrast, higher income individuals and business owners will spend significantly more time and make more costly errors when the cost of professional tax preparation is less. I occasionally hear of people who pay high prices for a simple tax return filed and I know of a brain surgeon who takes a week off to file his taxes (and reportedly makes plenty of mistakes). The key is to recognize which category you fall in and act accordingly. I’ve primarily been affiliated with Intuit’s TurboTax, the nation’s most popular tax filing platform. Intuit says that they receive more than a million tax questions per year and refer many of these to their network of CPAs hired for this purpose. Yes. I provide both telephone and remote online support. How do I get support for a question? Call, email or text. Support is usually available on the same day. What is the cost of support? In most cases the cost is the same as for other tax preparation services as listed at http://tonynovak.com/taxes/. In some cases I elect to offer support with no charge. Why does it cost so much if I do most of the work myself? The tax adviser’s legal and due diligence requirements are the same regardless of whether advising or preparing a tax return. Also, the task of understanding and correcting another person’s work takes more time than simply preparing a tax return. 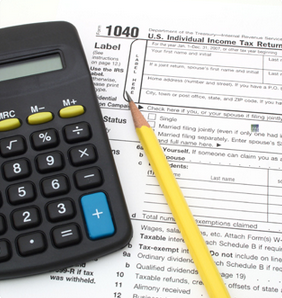 Why would I want a tax accountant if I file my own taxes? My primary role is helping to incorporate tax saving measures into your financial planning. Experience shows this is not usually as effective as a ‘do-it-yourself’ endeavor.